[Nokia’s model] 3310 is at its genuine best when it falls like a smooth stone into your pocket, where, rather than constantly buzzing at the periphery of your consciousness, it sits inert, ready mostly to be ignored. The intended meaning is that what is usual or general is for the user to ignore the smartphone. Alternative (a) has the wrong meaning; alternative (d) has things just right; alternative (c) is very close to equivalent in meaning to (d); and alternative (b) is ambiguous, with one meaning not the intended one and one close to equivalent in meaning to (d), but with modifying mostly quite distant from the crucial verb-form ignored, which makes (b) really clunky (as well as potentially misleading. I’d go for something like (b) only if it was the only available alternative, and it jumped out at me unpleasantly when I read Herrman’s piece. A great many writers and editors would avoid (c) because it’s a (so-called) “split infinitive” (SI), a construction with material intervening between the infinitive marker to and its VP complement. 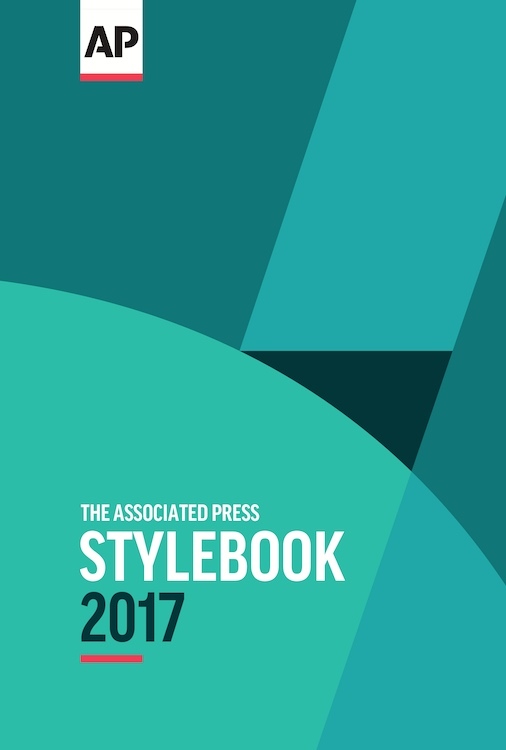 Irrational aversion of SIs has a long sad history, but even peevish and sticklerish usage advice has been shifting in their favor in many circumstances: the Economist and the AP Stylebook, among others, have now gotten on board. Alternative (d) — which, I remind you, ought to be the clearly favored one — falls foul of an irrational aversion that has an even sadder, and weirder, history than the proscription against SIs: a proscription against “split verbs” (an SV has material intervening between an auxiliary and its head verb), as in I will soon leave as an alternative to I soon will leave (and Soon I will leave and I will leave soon). Part of the weirdness of the no-SV “rule” is that it’s a journalist thing, essentially unknown outside of style/usage advice for journalists, but held to with great ferocity there. There’s considerable discussion on Language Log on the SV ban, especially by Mark Liberman (search under “split verb”), and some on this blog, but the most pointed treatments of the SV ban have come from John McIntyre in his copyediting column in the Baltimore Sun. John periodically rages against this usage superstition (as Bryan Garner terms such “rules”), this zombie rule (my terminology), heaping piles of steaming abuse on it as “the dumbest rule in the AP Stylebook” and the like. On this blog, me writing about John in a 6/19/09 posting “McIntyre, simmering”. Maybe the AP Stylebook folks finally listened to John (he talks this way at copyeditors’ conferences, after all), or maybe the revelation came down to them in a flaming pie, but it seems they’re no longer insisting that writers and editors undo SVs in favor of something else, anything else (except an SI, of course). But old habits die hard, and we see in the passage from John Herrman’s piece (above) an experienced journalist’s adherence to the SV ban, at the cost of producing a little bit of strikingly unlovely prose. All the more noticeable because it immediately follows some lively, nicely crafted writing. It starts with an ordinary noun source and an ordinary verb sustain and eventually works its way to the adverb sustainably as a modifier of a verb source, strikingly in the split infinitive construction to sustainably source, which Wilson Gray reported in an ADS-L posting on the 11th, citing a General Mills ad in which to sustainably source oats figures prominently. Someone labored hard to concoct that acronym. In this country, it is unusual for an infected pregnant woman to not see a doctor even once before delivery. I probably would have moved the not up in the structure, to give not to see, but I’m not sure why; I certainly have no aversion to so-called split infinitives. Perhaps the writer systematically prefers to keep VP adverbs (like not) with the VP they modify (so that the infinitive marker to then combines with a full, modified BSE-form VP); there are certainly writers who do. In October, California’s four federal prosecutors threw the state (and drug-lovers everywhere in the country) into confusion when they announced their intention aggressively to go after landlords who rent their buildings to dispensaries of medical marijuana, and even after newspapers, radio and television stations who accept advertising from sellers of the weed. The placement of the adverb aggressively (which modifies the VP in go after… that follows) before the infinitive marker to struck me as awkward, suggesting (momentarily) that the intention was aggressive, that is, that the prosecutors intended something aggressively. This brief potential ambiguity in the scope of aggressively isn’t problematic in itself, but if the writer had alternatives that are better stylistically, they’d have done better to go with one of them. And there is a clearly better placement for aggressively: snuggled right up to the head V, go, of the VP it modifies (go after landlords …): the intention to aggressively go after landlords … Why not go for it? Presumably because that involves the configuration misleadingly known as a “split infinitive”, against which some people bear an irrational prejudice. More on this in a moment. First, a note on why I’m resurrecting a quote from last year. 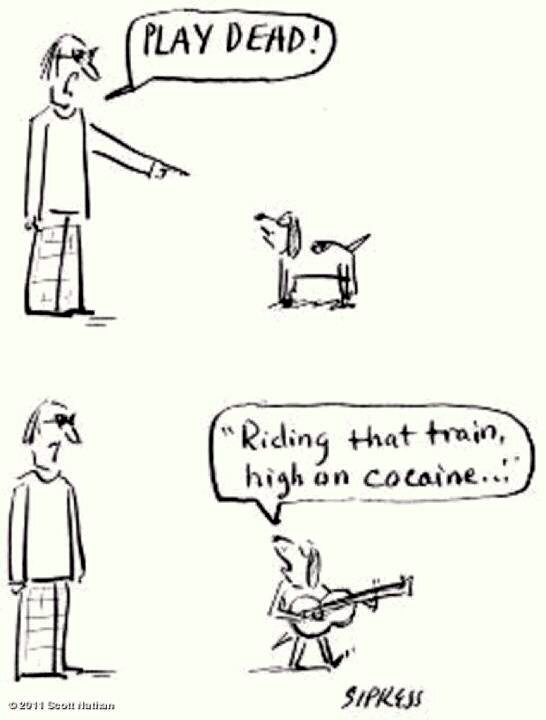 So: the idiom play dead, plus the band the Grateful Dead. Ordinarily I wouldn’t comment on yet another raging against split infinitives, but the NYT Book Review chose to use a signficant amount of space to print an intemperate letter on the topic on 14 June (p. 6). The letter by Richard Palumbo of New York (there are a number of Richard Palumbos out there, and I don’t know which one this is, so I have no idea how he comes to be pronouncing on matters of grammar and usage and founding a Society Against Split Infinitives), reacts to Roy Blount Jr.’s review of Patricia O’Conner and Stewart Kellerman’s Origins of the Specious: Myths and Misconceptions of the English Language. As one of the old “fuddy-duddies out there” mentioned by the same authors, I ask: What about split infinitives, which have become even more commonplace in both the written and spoken language? and to cite a couple of examples from the Times and then to offer what I think is a novel critique of split infinitives (well, it’s based on the popular, though mistaken, idea that infinitival to + V is a unit, but it clothes this idea in a striking metaphor). Another list of postings, this time on split infinitives. I looked for postings that had something substantial to say about them, rather than just mentioning them in passing. For a compact discussion of the topic, see Geoff Pullum’s treatment on his website. You are currently browsing the archives for the Split infinitives category.